"How about Fiji?" I say, elated about celebrating our fifteen-year wedding anniversary. To say that the transition from zero to five social media platforms in a year has taken a toll on my better half would be an understatement. We both knew that complete abandon of modern technology would not happen anywhere, much less at the beach. So when a dear friend suggested we trek through the Pyrenees, we were intrigued, barring a simple caveat: I am highly allergic to backpacking. As a child, I remember crying all night long the one time my family decided to embark on an adventure involving a tent, moonlight and a beach...romantic to some, I wholeheartedly understand, but suffice it to say that it is not my thing. “What if we set up our accommodations in advance, including daily transport of our luggage from hotel to hotel, and you can choose the destination of week two?" he suggested. Leave it to Bernardo to find a solution. And so it was that we embarked on an incredible adventure aptly celebrating our wedding anniversary by meeting each other halfway on the Camino de Santiago. 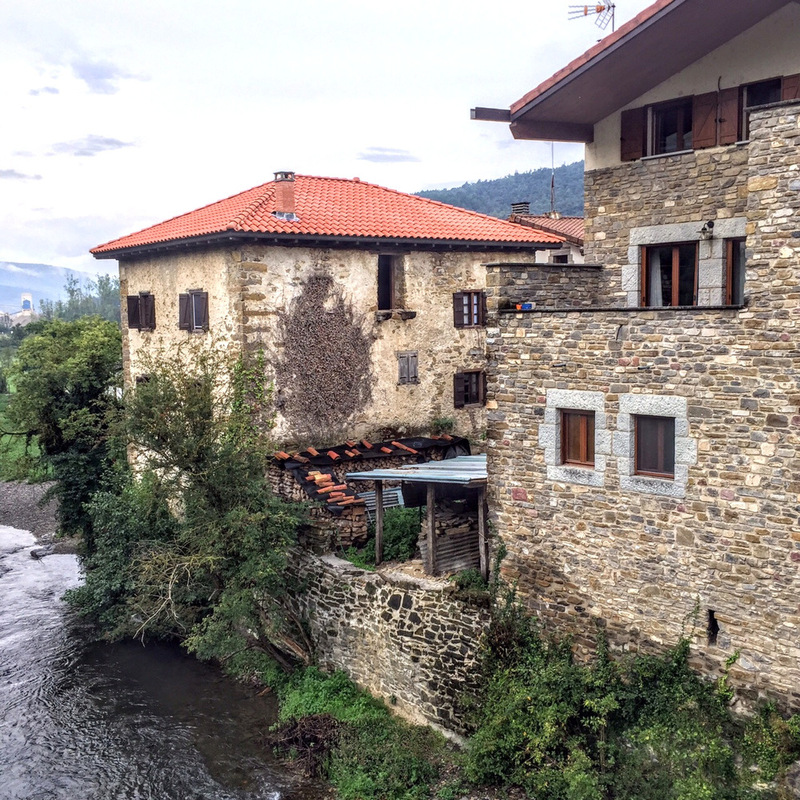 After contracting Camino Ways to assist with logistics, we flew into Bilbao and drove through the border to Saint Jean Pied de Port in France, where we purchased gear for the following six days. Day one was an easy four hour trek into Valcarlos through open pastures and rolling hills. Our surprise was how different day two would be: stunning woods and riverbanks carving the way to Roncevalles, a magnificent medieval village, where our hotel of the same name donned a large photo of the proprietor with Martin Sheen during the filming of "The Way." The bar, reminiscent of an après ski lounge, was rife with pilgrims swapping stories about their day and their myriad reasons for choosing to embark on the pilgrimage. 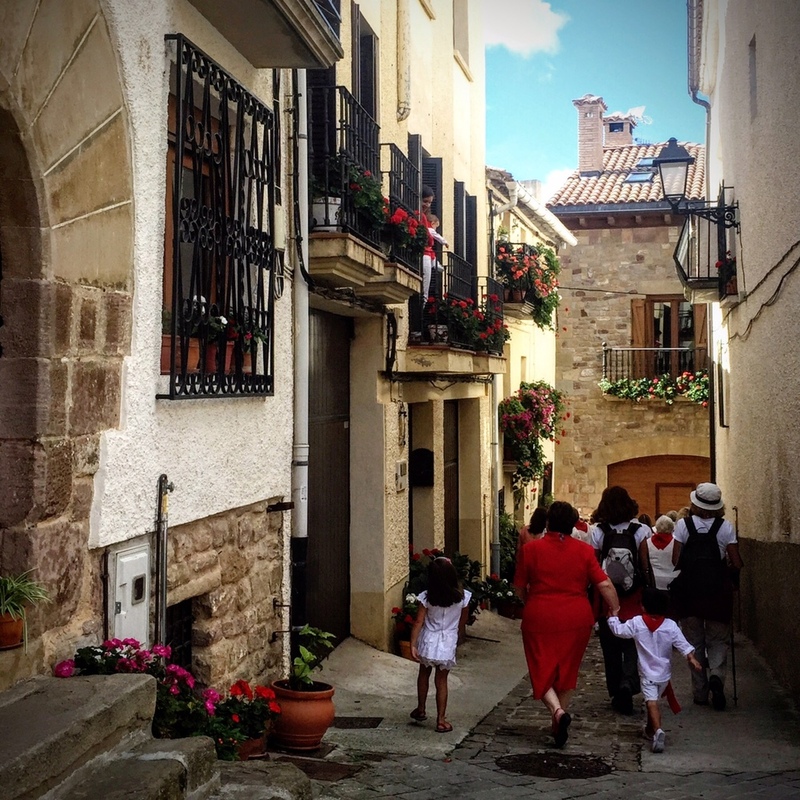 One woman, for example, explained that she decided to take on the Camino to prove to herself that she could finish what she set out to do, something with which she struggled throughout her life. 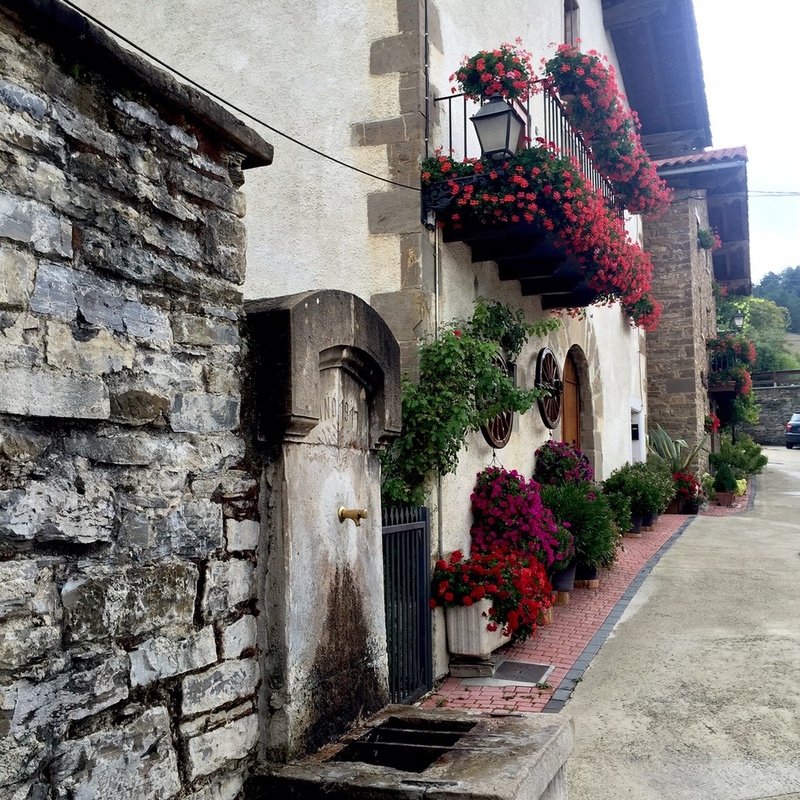 The scenery each day was magnificently different: from rolling pastures, to dramatic cliffs, vineyards to river streams, picturesque towns to monumental structures, each surprising us around every bend. 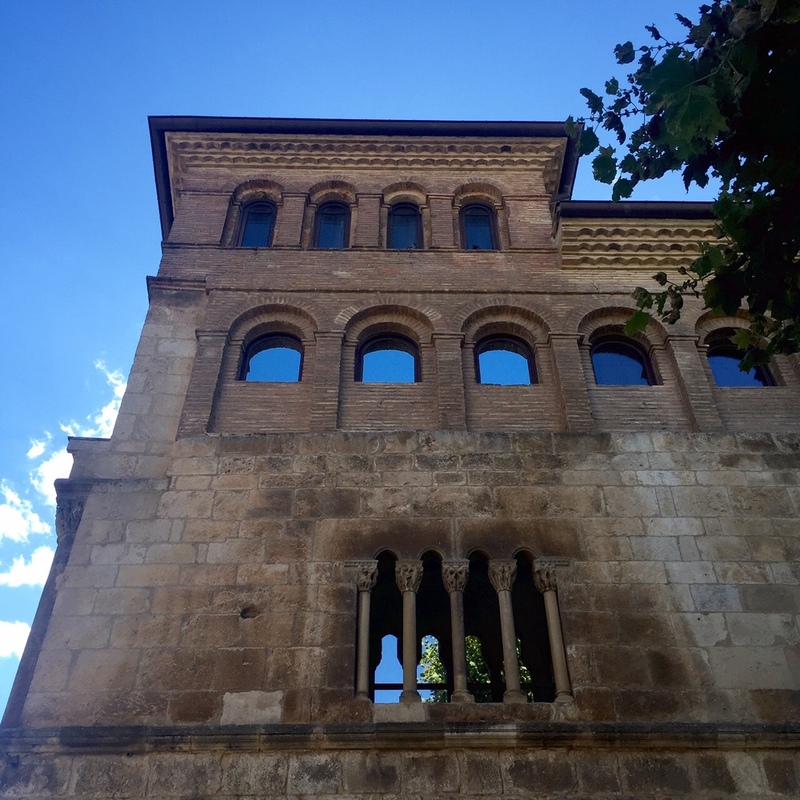 On day four we were awestruck by the imposing walls of Pamplona which led the way to the gorgeous Palacio Guendolain hotel where our dreamy bed, which beckoned us to kick up our tired feet, lost out to the seductive streets of the city where we savored delicious pinchos and sangria in the city's midnight cafes. Averaging fourteen miles a day of breathtaking terrain, we ended our journey on day six in Estella, and I remember thinking I could have continued for another week. There is something inexplicably alluring about the ethereal nature of the Camino, which can easily take fifty days to complete in its entirety. I have much respect for those who make it all the way to Santiago de Compostela with their belongings on their back, uncertain of where and if they will will find respite at the end of a tiring day. From time to time, I close my eyes and can still taste the figs and wild blackberries along the way and crave a simple salad consisting of none other than olive oil, sweet onions and the most delicious tomatoes I have ever savored, harvested for me on the spot. I am entranced by the sounds of my poles carving the way through the serene meadows and medieval towns of Navarra, and by the friendly words "buen camino" uttered by complete strangers, who for a brief period of time are bound together by nothing other than the arduous, sweet serenity that is the Camino de Santiago. Stay tuned for some serious eye candy with "A Trip of a Lifetime • Week Two" a journey that transports from experience, to memories, to inspiration for our new Winter - 2015 designs.